Looking for a great and easy way to clear the kid clutter in your home? One Week Boutique Children's Consignment Sale is your answer! You'll clear the clutter by preparing your items at home, bring them to us to sell, then we mail you a check. It's that simple and our staff is here to help you! 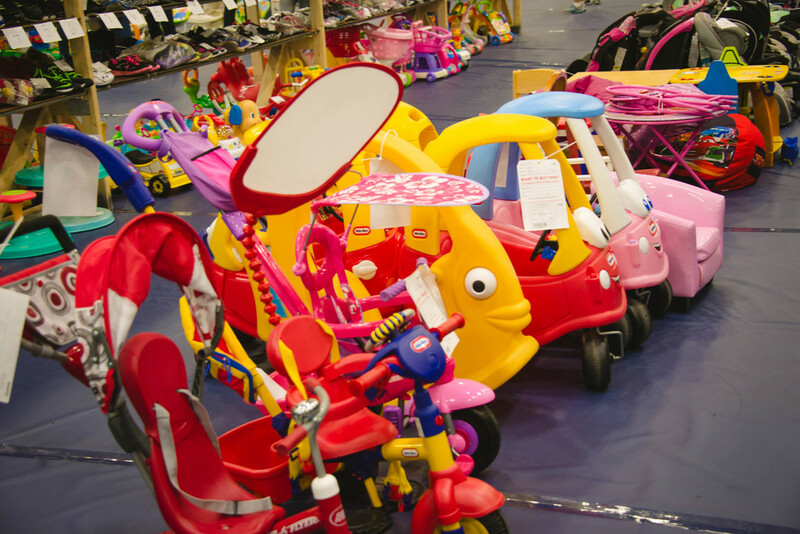 Moms & Dads just like you sell their children's outgrown items at One Week Boutique! If you have baby or children's clothing, shoes, toys or baby gear in your home, selling those items at One Week Boutique is a simple way to turn that clutter into CA$H. Our consignors earn up to 70% on each item with an average consignor check of $200-$300 per sale, with several checks over $1,000! If you've dabbled in selling at consignment stores or tried to sell baby/kid items in Buy/Sell/Trade groups online, One Week Boutique can save you time and hassle while making you WAY more money. Selling in our sale is easy, profitable and FUN! Thousands of shoppers come through our doors in one weekend and they are looking for your gently used items. It's Simple: Register online. 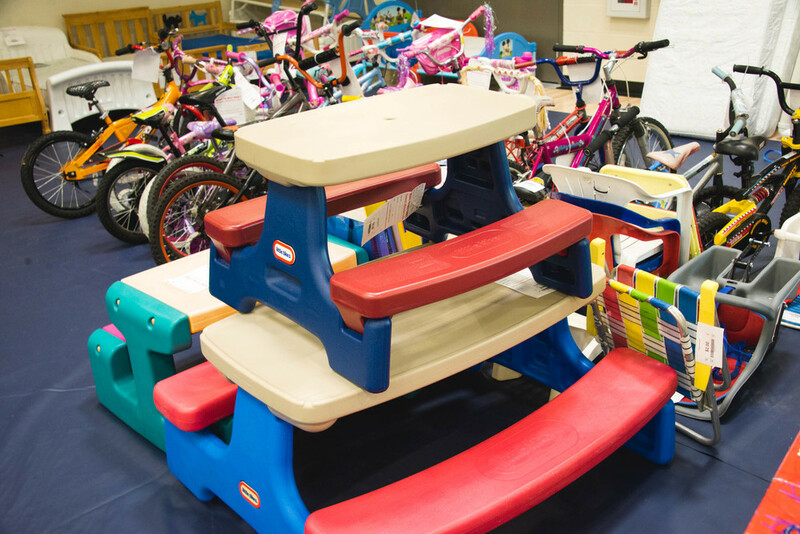 Round up all the outgrown kid items in your home and know that our staff is always here to help along the way. Once you've gathered everything, you can prepare your items for the sale by entering them into our online inventory and bring them to OWB on our designated drop-off days. As a bonus, you’ll earn a pass to shop our private pre-sale. We'll take care of all the selling, then after the sale you can pick up any unsold items at the end of the event or you can choose to donate them to our designated charities. Two weeks after the sale we’ll mail you a check with your earnings! Please note that you must submit at least $50 worth of merchandise in order to earn a consignor pre-sale pass. Consignors keep 65% of the selling price for each of their items that are sold. If you are a consignor and also choose to volunteer or barter at our sale, then you earn 70% on each sold item. You will submit a $15.00 consignor fee (non-refundable) via Paypal when you register to consign. This fee helps with facility rental, advertising costs, etc. We mail you a check for your earnings two weeks after the sale, so be sure your mailing address is up to date in your account. Don't bother with the hassles of selling in an online Buy/Sell/Trade group or setting up a garage sale. When selling at One Week Boutique you set the prices, we do the selling for you, it's all in one weekend and we send you a check soon after! You'll stay safe from online meetups and you won't have to worry about weather for a garage sale, plus you get to shop early at our huge event. One Week Boutique is very selective in which items we accept for the sale. When assembling your goods for consignment, evaluate them as though you were a discerning buyer and bring only your best items. Consignors will use our easy tagging software to enter each item, print the tag then attach the tag to the item. Only bar-coded tags will be accepted. One Week Boutique will not be responsible for any missing tags or items. We know getting ready to sell your items at One Week Boutique takes some work, so we have some essential supplies available to help you through the process. You are not required to purchase these items from us, but the added convenience and competitive pricing can be a huge help in preparing to be a consignor at One Week Boutique. To order and pick up tagging supplies, please contact the following individuals using “OWB Tagging Supplies” in your subject line. The supply contact will let you know when and where you can pick up your items. We ask that you have exact change when purchasing supplies. Our One Week Boutique volunteers will help you through the drop-off and pick-up process at the event.